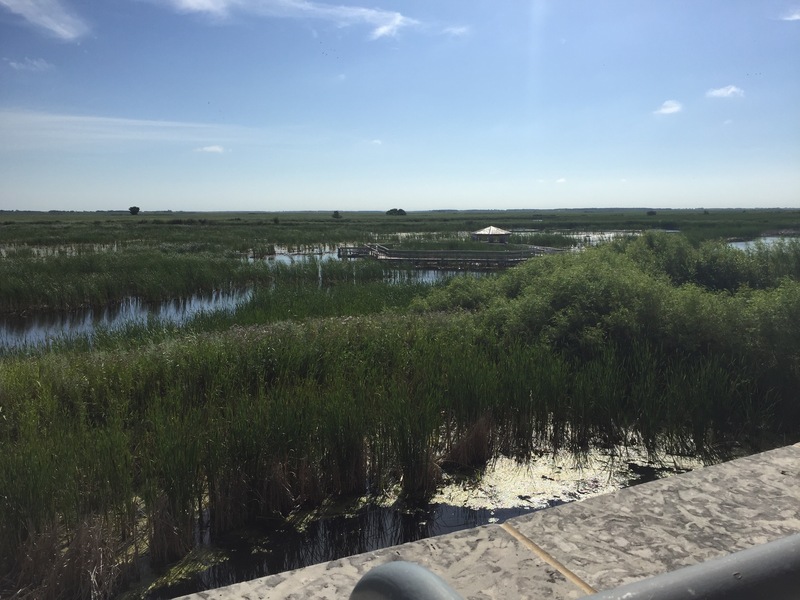 Oak Hammock Marsh… a place where everyone (and their mother) went on school field trips and had the time of their life! We made a trip back in time to our childhood days and gained a whole new perspective of the Marsh (literally)! Our day started by meeting our guide, Jacques! Little did we know that we were going to have the best time in the entire world with Jacques. He started by taking us to the Bird in the Hand experience. He gave us each a bird to release back into the wilderness after they had been banded. Although the birds weighed about the same as a loonie, we were incredibly intimidated by them. Jacques showed us how its done and we were immediately put at ease. Next up on the rooster was the much-awaited Marsh walk. We strapped on our waders and got knee deep into the marsh! Jacques showed us all the life that calls the marsh home, from small bugs to larger organisms. He even showed us how we can eat cat tails roots! We finished the day with a relaxing canoe ride around the marsh. It was the perfect way to end an amazing day!